In Ayurveda there is tremenodous importance of body massage which is called Abhyanga. This benefits proper blood circulation. Helps in leg pains, joints pain, numness, crams etc. It helps in skin glow, cracks on feet & benefits for normal skin texture care. In Ayurveda there is tremenodous importance of body massage which is called Abhyanga. This benefits proper blood circulation. Helps in leg pains, joints pain, numness, crams etc. It helps in skin glow, cracks on feet & benefits for normal skin texture care.Tanvitila is good in hair complaints like Hairfall, greying, dandruff etc.Morning time just lie down. Insert 1-1 drop Tanvitila oil in each nosal. Wait for 2 minutes & then get up & start your day work. If oil comes in throat you can throw that away. This is called Nasya Treatment of Ayurveda. Which works in above neck health complaints like neckpain, earpain, wrinkles, greyhair, eye complaints etc. As this treatment boosts the organal functions of head, nose, ear, tounge, brain etc. its a tonic treatment for all.Tanvitila at bed time with luke warm water & massage full body with Tanvitila to digest the infected body fat & strengthen the muscles. 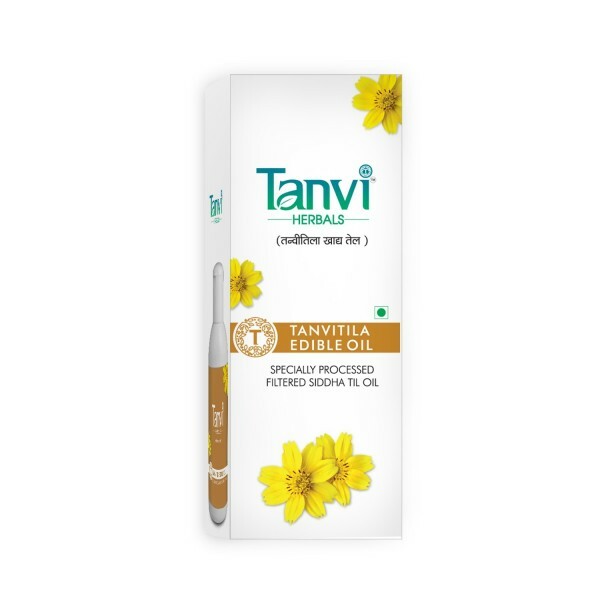 This treatment helps in irregular, scanty flow & harmonal imbalance in menstrus complaints.Tanvitila's oral dose helps in constipation, gass, piles, ulcers etc. It is used as a medium to cook food also.